****No Longer Available**** "V" motor belts lug type. See our instructions on how to me.. Fits the following Singer sewing machine models 127-12, 128-18, 128-3, 128-3, 128-class, 127, 128-1.. 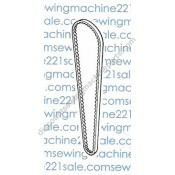 Fits the following Singer sewing machine models 127-12, 128-18, 128-3, 128-3, 128-class, 127, 12..
ncludes the belt shifter ONLY. Spring and screw no longer available. 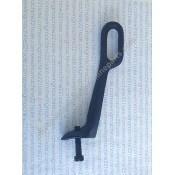 Belt shifter mounts on skirt ..
Alternate Part Numbers 200XL019, 3012850-02, 391285003, 6671 Fits the following Babylock sewing ..
Alternate Part NumbersX58762051Fits the following Babylock sewing machine models EM2, EMI1Fits the f.. 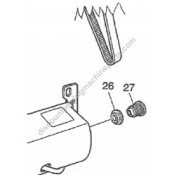 Fits the following Babylock sewing machine models BL6800, BL6300Fits the following Brother sewing ma..
Alternate Part Numbers376-2GT-3A30N17, XA9644050Fits the following Babylock sewing machine models BL..
Alternate Part Numbers372-2GT-62 RF, XC3806021, XC3830121, XE5843001Fits the following Babylock sewi..
Alternate Part Numbers26-A is XA1265120, 27-B is XA1266120Fits the following Babylock sewing machine..
Alternate Part Numbers395725-52Fits the following Babylock sewing machine modelsBL30AFits the follow..
Alternate Part Numbers163XXL, 163XXL019, 395712-77, 650166019Fits the following Babylock sewing mach.. Fits the following Kenmore sewing machine models 158.14510, 158.13513.. Fits the following Kenmore sewing machine models 158.1789180, 158.1789181, 158.1787180..
"V" motor belts lug type. See our instructions on how to measure your existing belt using the EZ-me..
New style black "V" motor lug belt. Singer original design. 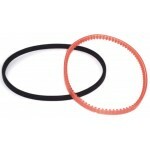 For information on Motor Belt Replacem..
24804 Kenmore, No Longer Available use belt #MB-270 flat on one side. "V" motor belts lug type. Se..